Chinatown is a bit rubbish for Dim Sum. For an area which is meant to represent the wares of the Chinese population in London, it really doesn’t do the best job with great, affordable Dim Sum more commonly located on the peripheries of the City. There were a few good places once upon a time (my family were regulars at New World although it has now descended into all levels of crapness) but the seeming focus on fleecing tourists has really deterioted the overall standard of food in the area. There are a few decent places which still pack in the Chinatown faithful, but when it comes to Dim Sum, I have always struggled to find a good place. Dumplings Legend is a relatively new place with a glass window where you can witness the dumpling chefs making and steaming them, very much appearing to focus on the siu long bau. It was all a little “Ping Pong”-esque, but I really hoped that it would be a little more authentic and less expensive. The menu is pretty standard although I actually found some of their descriptions a little odd. Pork burger anyone? When it came to ordering, I tried my best using the Cantonese names of dishes I had been eating for many years but only succeeded about 50% of the time. The food itself was hit and miss but decent enough. The prawn cheung fun and char siu so were good and the pork “burgers” were surprisingly enjoyable, presenting themselves as bigger and flatter versions of the traditional peking dumpling. The siu mai were a tad on the salty side and the xiao long bao were overcooked although the general flavour was decent, with a decent amount of soup thrown into the mix (as long as it doesn't rip and leak out). Chinatown really needs an excellent Dim Sum restaurant and if one ever decided to move in, I'm pretty sure it would be packed out every day. Unfortunately Dumpling Legend is not the solution to this age old dilemma, but get's decent marks for effort. I shall return, and this time I will win the staring competition with the Dim Sum man. I've been twice, and I think their quality is inconsistent. 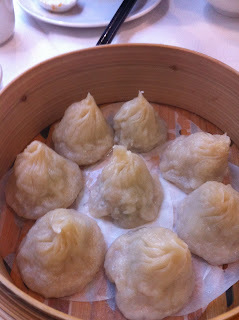 The first time, their XLB was the best I've had in London, but second time I went it was nowhere near as amazing. All the food we ordered the second time was also greasy and stodgy. But I think the restaurant does have potential if they fix the consistency of their cooking. If you decide to go back, you should try the sweet potato fries with salted egg yolk; they're ridiculously addictive! I've been meaning to give this place a try since it opened. Shame it wasn't all up to scratch but now I have a massive siu long bao craving. I tried Dumplings Legend a few weeks ago - the XLB were good (on that day anyway), and I also really liked their seabass & preserved vege cheung fun. The other dishes were very average. 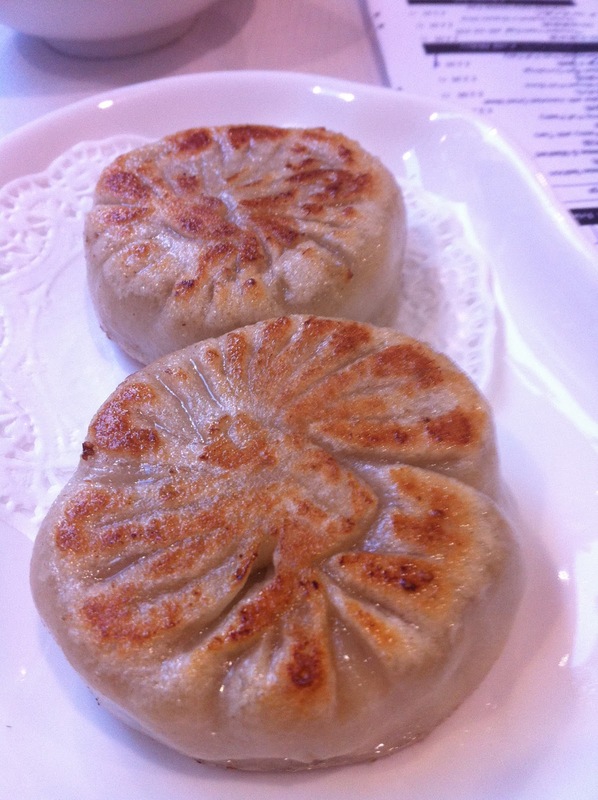 I agree that not everything on Dumplings' Legend's menu is great, but their speciality - Siu Loung Bao - indeed are really fantastic. No other places offer the same range of variety of siu loung bao, and certainly not as fresh (it's made to order at Dumplings' Legend). So yeah, I'm well impressed by their siu loung bao. Really tasty! Very reasonably priced as well. No wonder it's really full whenever I pass it by. Their custard buns are amazing too! Highly recommend that! We yum char'd at Royal China Bayswater today and the XLB were out of this world. I get the impression that people think standards have declined at RC. Why? (Though portion sizes definitely have). To my mind it is consistently excellent. I've heard this place does pretty gorgeous crab congee. Anyone here tried it? I went last night. 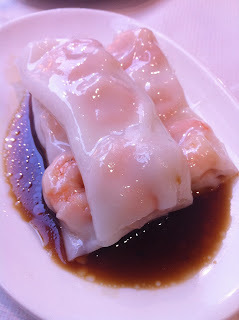 I don't know a lot about dim-sum etc other than I like it a lot and am learning about them as much as I can. We tried the duck dumplings (good), the cha sui steamed buns (really good, light and fluffy), the chicken noodle soup (poor - very bland stock, overcooked chicken), the fried turnip cake (strangely delicious) and some rice with egg and prawns. 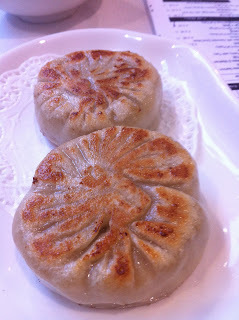 But what I was really looking forward to trying was the sui loung bao. So it was a shame that they never materialised. We had nearly cleared all our plates and were waiting expectantly. We were asked if we had finished - no, we said, we are still waiting for the sui loung bao. 10 minutes later a different staff member also tried to clear our table. No, we said, there's one thing left on our order which we are still waiting on. Five minutes after that, we grabbed a third member of staff and asked if these were ever coming, as we had to be somewhere else shortly. They checked with the kitchen. No, they were not on the way. No further explanation was forthcoming. We paid our bill (without leaving a tip) and left, disappointed. Won't be hurrying back. If I could give no stars I would. We went to this awful restaurant on the recommendation of a friend who said the dumplings were good. Granted they were OK, but food does not a restaurant make. Our main courses were well below average. When we complained the manager tried to tell us that we had obviously never been to a Chinese restaurant before because food always comes to the table at different times - we are well aware of this given that 3 out of the 5 of us have lived in Hong Kong! Our issue with the food was that it was cold and of poor quality. The waiting staff had also forgotten about two dishes we ordered and were disinterested in providing us with any service whatsoever, all seven of them preferring to stand in a corner and chat to a friend that had popped in to say hi. When we requested that the mandatory 12.5% service charge be taken off the bill, the manager kicked up a huge fuss and then disappeared with the bill for 15 minutes. When I asked why this had taken 15 minutes he said that I was wrong it had only taken 2 minutes because he had timed himself! He then walked away from the table telling us to pay, he wasn't discussing it any further. Much against my better judgement we paid for the ludicrously expensive food, but I would urge anyone going to Chinatown to try any restaurant but this one. Crispy Duck nearby is more basic but has infinitely better food for a reasonable price and the staff are attentive. @ Dawn - Sweet potato fries? 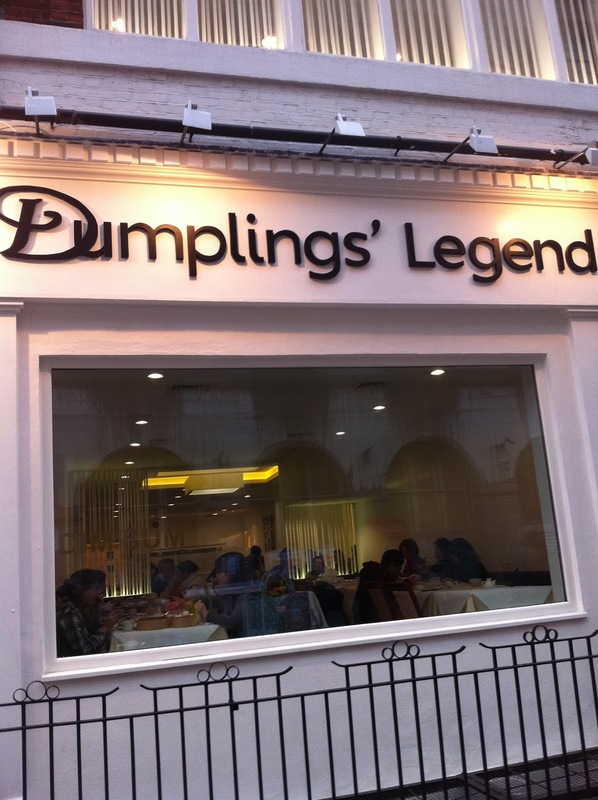 That sounds totally out of left field for a dumpling restaurant! 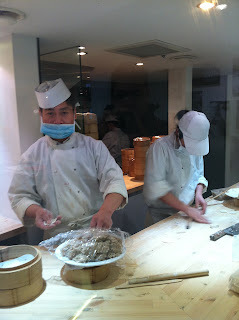 I will give the XLB another go, the fact that they make them by hand is a good indicator. @ Mzungu - At the end of the day, food is about enjoying. As long as you like, you don't need to know that much else about it! @ Lizzie - And now so do I. @ Su Yin - I have heard about these Durian puffs, I must have one! @ Gwennilicious - There are a fair few positive votes for their XLB, so enough to warrant a second visit some time in the future. @ Sunfug - I think RC has always had a good reputation, although it has always been at the upper end of the cost scale. I haven't been for a while, but if you rate it highly, it may well go on the list. @ GWMG - Crab congee? Not really my cup of tea, but I am sure a few here would be happy to hear about it. @ Puffle - Often a case I find with a lot of Chinese restaurants, service is not their forte. I experienced something similar when I went to Dragon Palace in Earls Court, frustrating especially when much of the rest of what you ate sounded so nice. @ Anon - I think it is pretty terrible when a place demands you to pay a service charge when the service is so terrible. It's a shame that Chinese restaurants often take service for granted, which leaves a very bad taste in many peoples mouths. I definitely don't mind Crispy Duck, especially as they open late at the weekend, but the last time I went there, the roast meats were extremely fatty.